Files and folders stored on our computer are the most precious assets to many users. Once files get lost or private data gets leaked to those who will take advantage of it, then users may suffer from huge financial loss. In some cases, the loss might lead to the bankrupt of a company. Changes have taken place and days when all data was kept in paper and stored in cabinet are history. Today, we can store any data on computer and other digital devices. Thus, one of the biggest enemies we have to face is computer failure and file loss. To prevent data loss, all businesses take various steps to backup data, protect computer from system crashing, virus attack, etc. Besides, all companies should build effective data recovery system in case of any unexpected files loss issue. The course consumed by the recovery of lost data is quick, but lost files might be the achievement of hours of several staff. Sometimes, files recovery is the only way to regain lost data. Thus, the using of hard drive recovery software in such issues, you’ll be able to retrieve data within a short period of time and avoid any loss caused by the problem. If you choose recovery company, then you’ll have to bring computer in question to their store and then wait for results. In that case, you’ll have to spend hours or days to get data back. 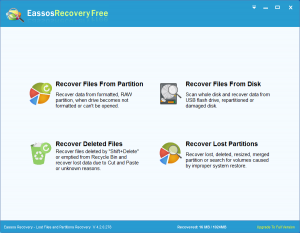 Eassos free data recovery software contains four recovery modes which is able to tackle almost all common data loss problems. Data recovery used to be a technical and complex process when there was no easy-to use data recovery program and the recovery process mainly relied on experts. However, these years, many recovery tools are available and some software makes the process easy and simple. Although there might be lots of types of file loss, the simple recovery tool is able to deal with all of them. Many users deem tech support of software is not real-time and it needs long time to get responding on questions. Actually, this is not the case, Eassos has professional support ream which can help users via email or remote assistance and free support for all its products. The remote assistance enables users to get in touch with experts who might be data recovery developer to seek help and experts can solve the problem in person with more professional solutions. Software usually offers free or trial version with which users can check recovery result and decide whether they need to register it and get the full version. 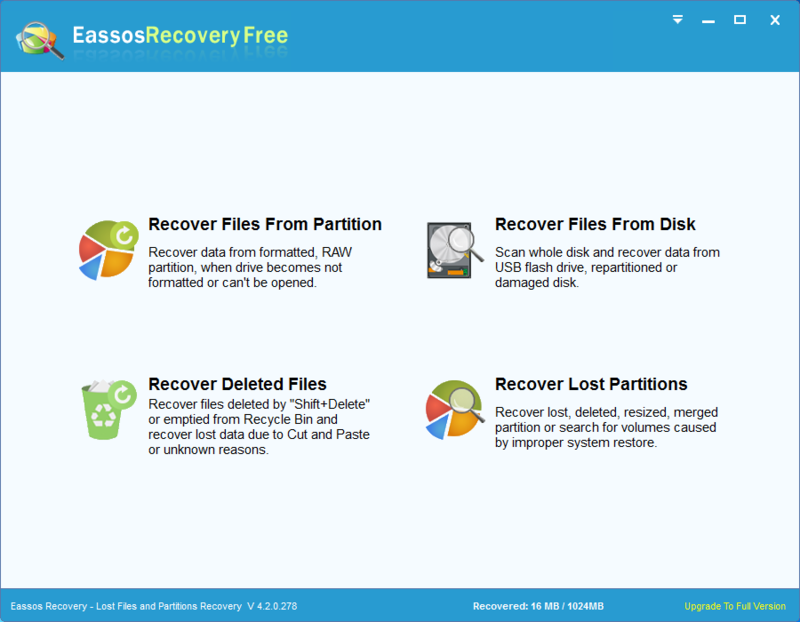 This entry was posted in Data Recovery and tagged free data recovery software, hard drive recovery software by EASSOS. Bookmark the permalink.